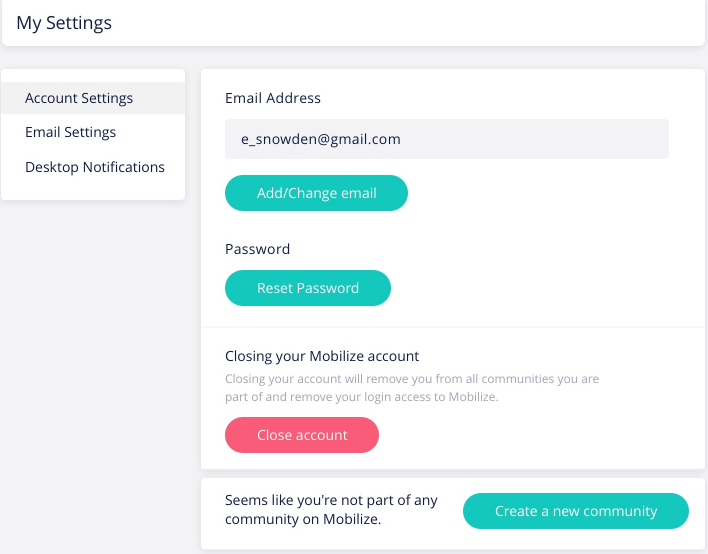 By ticking the checkbox you choose to delete all content (posts & comments) from all the communities you are a part of, delete any association with the community and leave no trace of your user in any community (Votes on polls, RSVP’s to events, posts and discussions, comments, private messages or anything else that they have created). 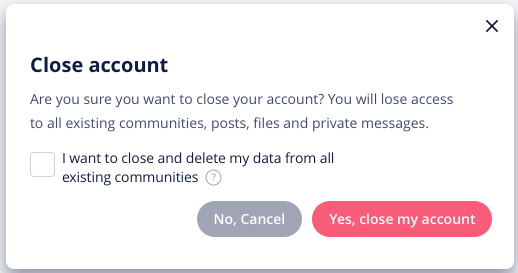 If you are part of multiple communities, we will prompt you with another message notifying you that by closing your account it will delete them from all their other communities as well. 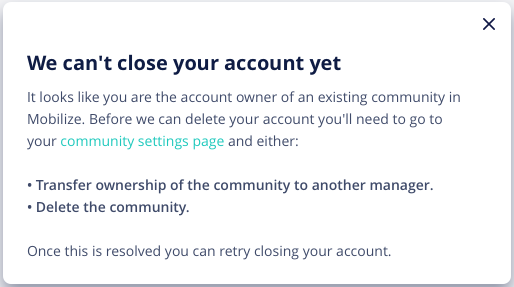 If the you are an account owner of an existing community, you will be prompted that you should transfer account ownership to someone else first or delete the community before closing their account. 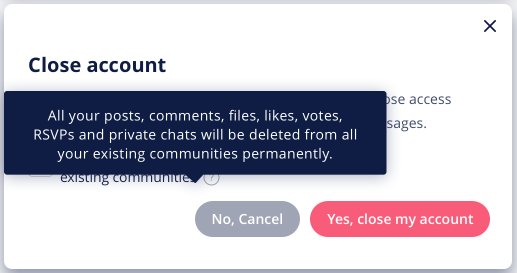 If a member left the community & deleted their data, then all their chat conversations will show the name “Unknown User” instead of their name and all their messages will be visible to other members as “Deleted message”.